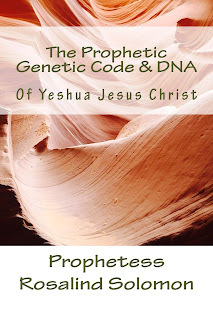 Welcome to The Prophetic Voice OF Yahushua Ministry Blog: GOOD DAY TRUE SAINTS OF YAHWEH GOD I HAVE 14 OF MY PROPHETIC DNA BOOK OF YESHUA JESUS CHRIST BOOKS ON TEACHING YOU HOW TO PRAY BOOK .I HAVE 14 LEFT.I JUST MAILED SOME OFF THIS MORNING . SO IF YOU LIKE TO DONATE TO GET ONE YOU CAN DONATE THROUGH PAYPAL HERE ON THE BLOG .THE BOOK IS 17.99 . AND I WILL SIGN IT BLESS IT AND SEND IT TO YOU .BE BLESS. GOOD DAY TRUE SAINTS OF YAHWEH GOD I HAVE 14 OF MY PROPHETIC DNA BOOK OF YESHUA JESUS CHRIST BOOKS ON TEACHING YOU HOW TO PRAY BOOK .I HAVE 14 LEFT.I JUST MAILED SOME OFF THIS MORNING . SO IF YOU LIKE TO DONATE TO GET ONE YOU CAN DONATE THROUGH PAYPAL HERE ON THE BLOG .THE BOOK IS 17.99 . AND I WILL SIGN IT BLESS IT AND SEND IT TO YOU .BE BLESS.